The fragrance of Middle Eastern cuisine wafts into your nostrils, even before you open the door of the café opposite the central railway station in Yerevan, Armenia’s capital. Nerses Kevo, the café’s owner, is one of thousands of Armenian Christians who fled the Syrian civil war and moved to Armenia, with sorrow for what they’d left behind and determination to start a new life in what they call their historic homeland. One day, amidst the cauldron of war, Kevo found his Aleppo factory, which produced air filters for vehicles, demolished to the ground by air strikes. “Seeing the result of years of hard work perish overnight, and fearing for our lives, my family and I decided to leave Syria,” Kevo says. “As with so many Syrian Armenians, we were also convinced that we would be most welcome in Armenia, with our compatriots.” According to Armenia’s Ministry of Diaspora, around 25,000 ethnic Armenians have moved there from Syria since the beginning of the war; 3,000 of them later left for other destinations, or returned to Syria. Syria’s Armenian community, of more than 100,000 pre-war, mainly consists of people whose great-grandparents were exiled from their historic homeland during the Armenian Genocide committed by the Ottoman Empire in 1915. The Turks forced Armenians into long “death marches”* across the Syrian Desert – Syria was part of the Ottoman Empire at the time – the final destination being the city of Deir ez-Zor, where concentration camps were waiting for the refugees. The ones who escaped or survived the camps made Syria their second home. 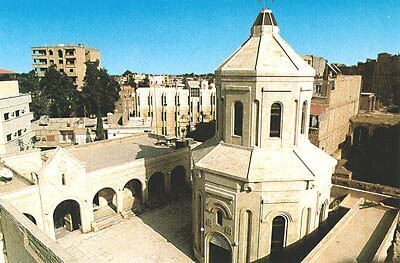 Since then, this Christian minority has built dozens of churches, schools and cultural centres, making the Syrian Armenian community one of the main cultural hubs of the worldwide Armenian diaspora, though 70 per cent of the community are now believed to have left the country, according to figures quoted by the Armenian Ambassador to Syria, Arshak Poladian, last year. 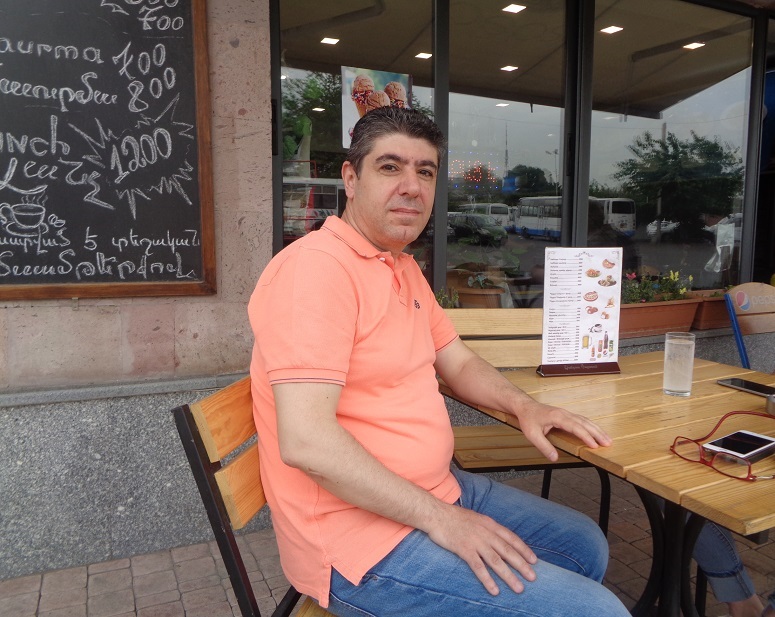 Kevo, who now leads the Syrian Armenians’ Union in Armenia, says he thinks the diminution of Syria’s Christian minority is irreversible because, he says, very few refugees will ever go back. Armenia and many organisations belonging to the Armenian diaspora worldwide have provided financial and humanitarian aid to Syrian Armenians during the war. The ones who have settled in Armenia will soon receive financial aid in the sum of 3,000,000 Euros from the European Union, Armenian news agency Armenpress reported. The aid will target Syrian Armenians’ housing issues, development of their businesses, and their re-training and skill development. 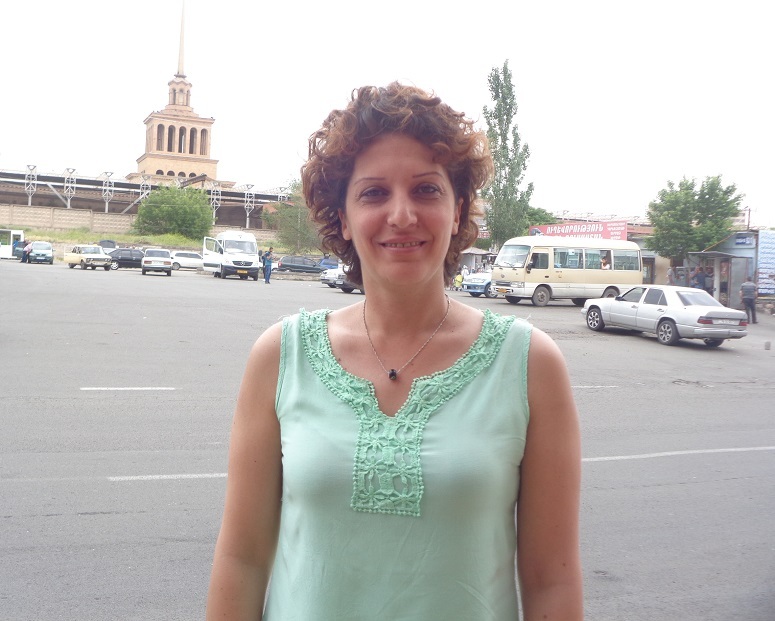 Kevo’s colleague from the Syrian Armenians’ Union, Vani Nalpantian, joins our conversation. She moved to Armenia from Aleppo in October 2012 with her husband and two children and now imports wooden jewellery boxes from Syria. Nalpantian also co-ordinates programmes for Syrian Armenian women, to teach them various skills such as crafts and cooking, so they can make a living. She is also convinced that life will never be the same for the dwindling Armenian community in Syria. “Before the war, we were 100 per cent sure that we were safe and secure in Syria, but it turned out we weren’t. Now that the situation is so volatile over there, we should expect anything, anytime, to happen again,” Nalpantian says. Of all the Armenian communities within Syria, Aleppo’s was the biggest and therefore the most affected by the civil war. In July 2012, finding themselves the targets of armed militants, Aleppo’s Armenians engaged in self-defence. Around 170 Armenians died, more than 100 were taken hostage (most were later freed after ransoms were paid), and seven others disappeared without a trace. 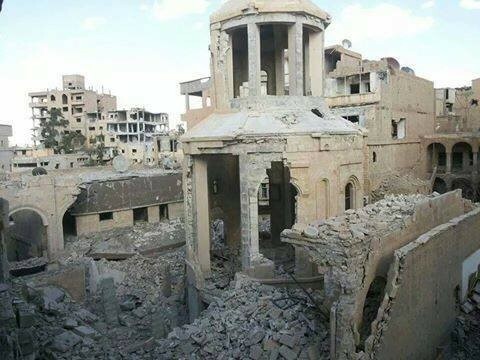 Of Aleppo’s 17 Armenian churches, only seven survived the war – the others were destroyed or burnt down. Armenian residential areas, cemeteries, shops and factories were also damaged and looted. Across the country, 11 Armenian schools were destroyed, among them the Karen Jeppe secondary school in Aleppo, named after a Danish missionary who delivered aid to victims of the genocide. The school was the landmark of the Armenian community and an educational hub for the Armenian diaspora, so it was given top priority for reconstruction and reopened in September 2017. Before the war the college had 1,300 students; now there are only 300. Having been successful entrepreneurs, and possessing a strong flair for trade, over the years Armenians have made a significant contribution to the Syrian economy, thus earning the respect and support of the Syrian state. They have practised their religion, language and culture without any hindrance, according to Nerses Kevo, and have had many privileges in comparison with other minorities. But Kevo says that during the war, because of their close relationship with the state, their position became more precarious. 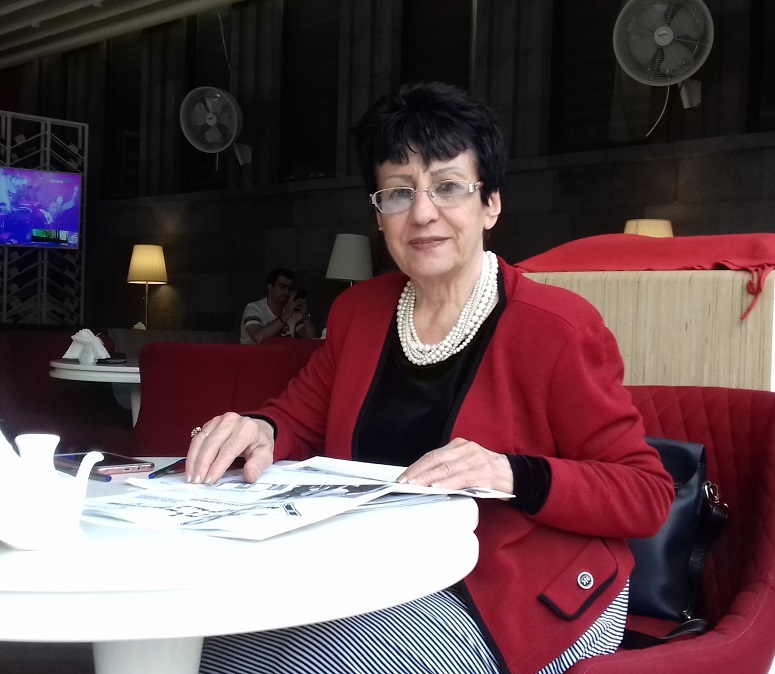 Despite all the doubts and the sense of insecurity, the life of the Armenian community in Syria continues as normal, a lady who has lived in Aleppo throughout the war told World Watch Monitor. Hrip Kananian, the head of the regional administration of the Armenian Relief Cross in Syria, gave an up-to-date insight into the current situation in the country during a visit to Yerevan. “The task of the leadership of our organisation is to give people hope and make them believe that the city is revitalising. Even if we don’t believe what we preach ourselves, we need to give people hope and encourage them to come back, build their homes and lives,” she says. A teacher for 25 years, Kananian cared for children at an Armenian orphanage during the war. She recalls the morning of 31 December 2015, when she took the children into town to see the New Year decorations and buy them presents. Now, as ever, she says the Syrian Armenian community is united around the Church, trying to live “as if nothing has happened”. 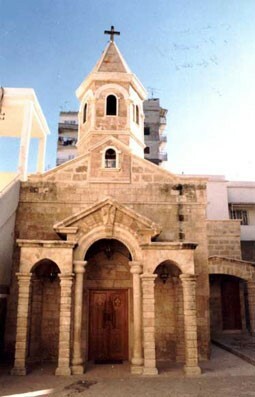 As in every Armenian community worldwide, the Armenian Church in Syria is not just a religious establishment but also part of the Armenian identity and, in practical terms, the main organiser of community life. As the Armenian Apostolic Church has more members in Syria than the Armenian Catholic and Evangelical Churches, it is the representative of the Armenian people to the state. The future of the Armenian Church in Syria largely depends upon the steps taken at present. Under a new scheme announced in May, by order of the spiritual leader of the Armenian Apostolic Church, Catholicos Karekin II, primary school graduate boys of the Syrian Armenian community will be offered places to study in the religious seminary of the Armenian Church in Lebanon for eight years to train to become celibate priests. At the end of the studies, whoever decides not to go down that path can either become a married priest or a teacher. The Sunday buzz in and around churches is a reassurance that life continues and the Armenian Christian presence within Syria will still continue, says Hrip Kananian. But the number of students in schools and that of clergy in churches will never be the same, she warns, saying the community rarely gets a chance to welcome anyone back. Kevo will not return there either, but says he is very worried about the huge Christian cultural heritage in Syria, which he says will need care and maintenance. This concern is etched across the man’s face as I take my leave. *The term ‘death marches’ is used for the displaced Armenians’ forced marches across the Syrian Desert, where many died of starvation, dehydration or illness.